Al Jazeera English online has launched ‘Palestine in Motion‘, a storytelling technique, centered on the story of Palestinian people. ‘Palestine in Motion’ allows the user to explore the personal narratives of Palestinians, which are linked through various themes and keywords in a new and unique way. It retells the story of Palestine by linking the past and the present, and reorienting the entire Palestinian discourse through conveying seemingly ‘ordinary stories of ordinary people’. “The 19 stories featured in the project tell the Palestinian story through personal experiences of people who lived certain periods of Palestine’s history. In addition, it tells the story of what it’s like being Palestinian today,” said Imad Musa, manager of Al Jazeera English Online. “The outcome is a series of long narratives and short essays written by Palestinians of different generations, reflecting on their past, present reality, aspirations and identity. It is an apolitical reading of a complex political reality,” he added. “Nearly 70 years after the Nakba and 50 years after the Israeli occupation of what remained of historic Palestine, the media coverage of Palestine has grown redundant and often lacking in context,” said Ramzy Baroud, the acclaimed and award-winning journalist and writer who is the manager of the project. 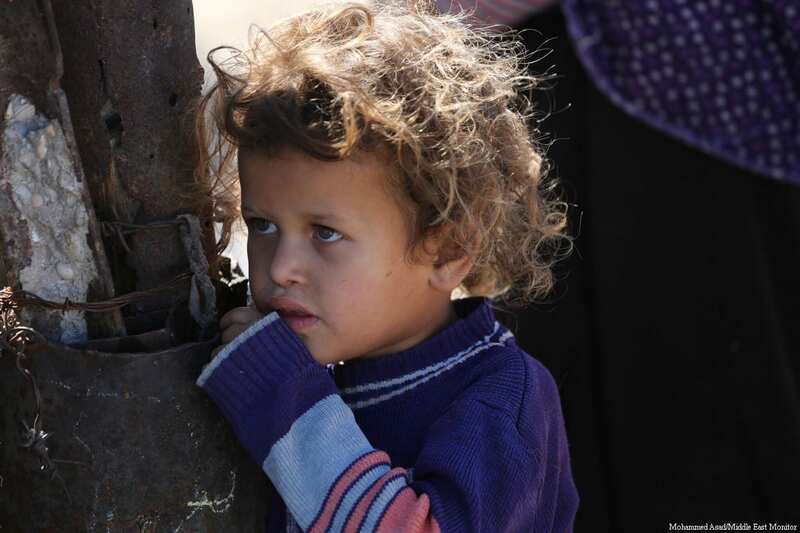 “‘Palestine in Motion’ challenges the old paradigm, which sees the past and the present as disconnected parts, often relayed by politicians, academicians and reporters,” Baroud added. Supplementing that narrative are a series of explainers, maps, videos and links that provide context that goes beyond the story itself. Additionally, questions and answers, embedded in the form of chatbots, will help the user further explore the topic by posing questions about Palestine that range in terms of their nature and complexity. The project aims to provide a new reading and understanding to the story of Palestine, thus liberating the Palestine discourse from its current political and media narratives. The Moroccan government has promised that there will be no water crisis or shortages in the turbulent Al Hoceima until 2035. The promise was made yesterday during a meeting held by a delegation led by the Minister of the Interior, Abdelouafi Laftit, the Secretary of State for Water, Abdelkader Amara, minister of equipment, and the director general of the National Office of Electricity and Drinking Water (ONEE). The delegation devoted the agenda of its meeting to the question of water as the province experiences a shortage which worsens during the summer months. The delegation took stock of the state of progress of the water infrastructure strengthening projects which received nearly $1 million in funding. President of the region, Ilyas El Omari, told HuffPost Morocco that he took advantage of the meeting to draw attention to the problem of access to drinking water in the entire region. 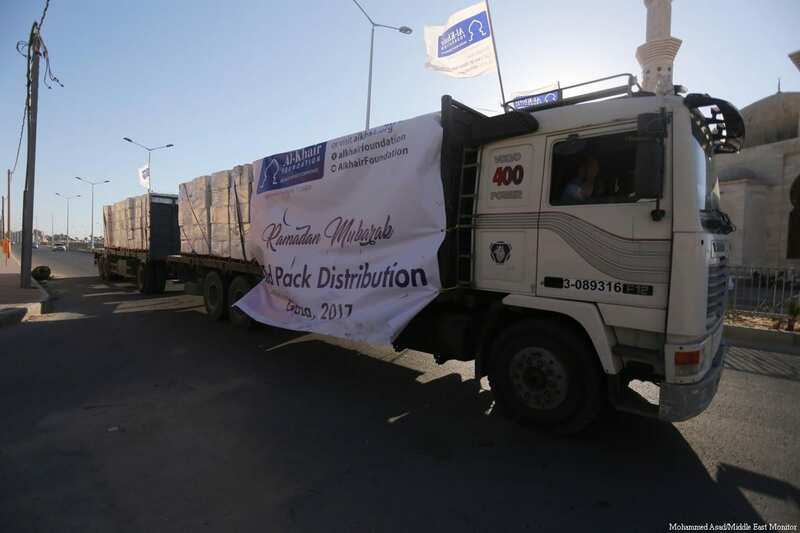 “I have intervened to remind you that not only Al Hoceima, but also other provinces in the region, do not yet have access to drinking water,” he said. In Chaouen, the situation is more alarming than in Al Hoceima, where 50 per cent of the city’s population does not have access to drinking water, [which is] about 200,000 people. According to El Omari, the inhabitants of the region have suffered greatly from the shortage of water accentuated by the drought in Ouazzane and Chaouen. “Several residents of the region complained about this situation last year,” he recalled. For El Omari, the origin of this situation also lies in the lack of financial developments in the region. “The transfer of the powers to the regions has not yet been made … we receive from the government a percentage of the taxes of a value of 400 to 450 million dirhams [around $40 million per year],” he said, stressing that at the next session of the regional council in July it is expected that the region will get better and more involved in the supply of water and electricity by giving financial support to the municipalities. Former Israeli Defence Minister, Amir Peretz, has called for dialogue with Hamas in order to reach a solution to the Palestinian-Israeli conflict. Peretz said during debates for the presidency of the Labor party that “dialogue with Hamas is a must because peace is made with enemies”. The former minister suggested the possibility of releasing Fatah leader Marwan Barghouthi from prison. “If circumstances arise in which Barghouthi can be released to help in the political process, we must think about that,” he said. Peretz has rejected unilateral steps, pointing out that unilateral withdrawal from Lebanon “created a vacuum in which Hezbollah entered, while Hamas was in the Gaza Strip”. We cannot examine the effects of the Gulf crisis and the subsequent boycott and blockade of Qatar on the Palestinian issue and components in isolation from the strategic context of the region. It has become clear that the region’s alliances were re-structured after the Arab Spring revolutions, as Qatar’s “neighbours” explicitly drew their line in the sand from the beginning by forming and leading an alliance against these revolutions (actually fighting the revolutions), while the general political approach in Qatar was different to that adopted by its neighbours. It, along with its allies, stood with the people’s revolutions and supported the leaders publically, specifically the Islamists. The “neighbours” saw this as overstepping their roles on one hand, and as an exaggeration and expansion of Qatar’s role and size on the other. Therefore, two alliances formed on the ground: one supported the Arab Spring revolutions and their results, and the other supported the counter-revolutions and their results. Dealing with the Palestinian issue by both sides occurs in the context of these generally contradicting positions. There have been frantic efforts by the “boycotting neighbours” to align with, an even exceed America’s position on the Palestinian issue in order to gain its support in their position towards Qatar. Meanwhile, Qatar did not follow this path and its position remained firm regarding the issue and its components. The difference in position of the “boycotting neighbours” and their supporters regarding the Palestinian people’s resistance, represented by the Islamic Resistance Movement Hamas reached its peak when they considered it an extension of the Muslim Brotherhood, which they accuse of terrorism. Therefore, they are fighting it fiercely, while Qatar has done the opposite, as it homes (Islamist-Brotherhood) Hamas leaders and doesn’t oppose them but supports them. These statements did not stop there, but were followed by a systematic campaign by the official and popular media outlets distorting and defaming the fair struggle of the Palestinian people and blatantly incited against their legitimate resistance and their organisations. However, they did not make such accusations against political opponents or even enemies. The use of the “accusation” of supporting the resistance in this conflict sets a dangerous precedent, far from the wisdom we are used to seeing in official statements. We cannot imagine an Arab, Muslim, or even free person accusing the resistance and its supporters of terrorism and to seek to punish them. This is a stroke of insanity! We do not want the “boycotting neighbours” to forget that we all are, were, and will be fought by America and others in the name of terrorism. They are now issuing statements saying that the JASTA law is still in effect! Beware of using it to fight one another or to bully one another in our disputes! The most dangerous issue threatening the Palestinian cause in this conflict between brothers, which occurs in light of civil conflicts in more than one Arab country as a result of the counter-revolutions, is the decline in concern with the Palestinian cause as the main cause of the nation in its long battle with Israel. It is in danger of disappearing from the Arab political agenda while we are preoccupied by our internal disputes that are close to the war of Dahis and Ghabra. It is a sad irony that history records working to lift the blocked on Qatar rather than working to lift the blockade on Gaza. Perhaps the fate of the Palestinian issue is to always be the sacrificial lamb offered on the altar of the Arab-Arab conflicts and the “charity” paid to improve American-Arab relations and unfortunately its Israeli extensions. The positive indicator that did emerge from the crisis was that the general public mood on both sides of the crisis rejected this path. The height of this rejection was in the form of the hashtag rejecting the “official statements” accusing Hamas of terrorism by the Gulf. We hope that this crisis will be resolved by dialogue and diplomatic means as soon as possible and that other parties are not allowed to interfere in resolving this internal conflict. We also hope there is no bullying, otherwise everyone will lose, as there is no winner in a war of brothers. Finally, I will say to everyone who stood with the Palestinian people’s resistance: supporting the resistance is an honour you earned and the generations, history and the free people of the world will remember you for this. Your support has grown, angering all our enemies and pleasing all the free people of the world. Meanwhile, others have disappointed the free world and have abandoned the championing of those oppressed. 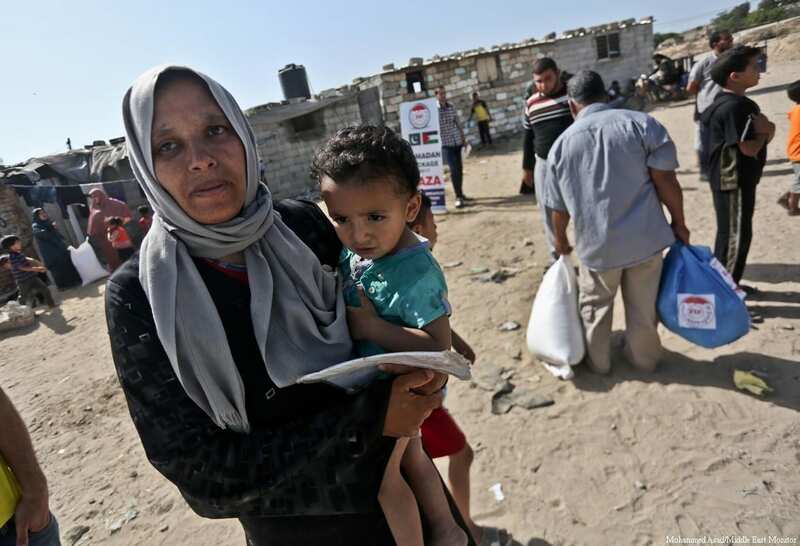 The UN has warned that unless new funding quickly arrives, the World Food Program (WFP) will be forced to suspend its voucher food assistance in July for nearly 150,000 residents of Gaza and the West Bank, the majority of whom are women and children. 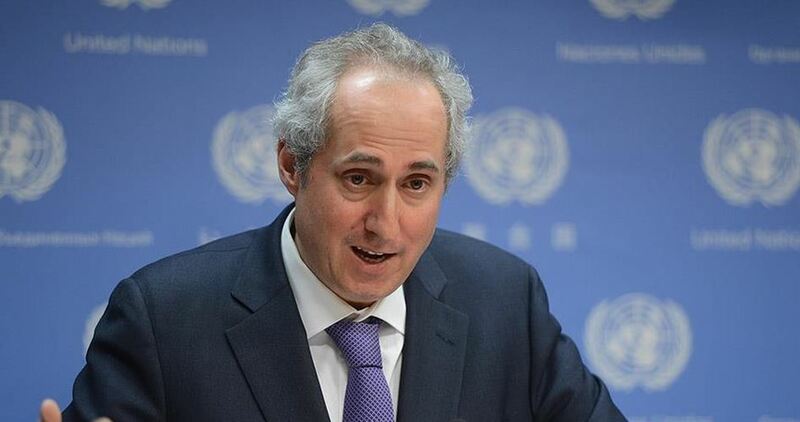 “A disruption of WFP assistance could further undermine food security and deepen the dire living conditions of the poorest families, most of whom live on less than 3.20 dollars a day,” Dujarric added. Efforts by the United Nations to create a database of blacklisted companies operating in the West Bank, East Jerusalem and the Golan Heights, has come under sharp criticism from Nikki Haley, the United States Ambassador to the UN, who has said it “reeks of anti-Israel bias”. The UN High Commissioner for Human Rights released a report on Monday to advise and support efforts to create the database. Haley, who has been gunning for the UN since her appointment by Trump, said: “this report is just the latest example of the Human Rights Council singling out Israel rather than focusing on the world’s actual human rights abusers”. The report calls on the International Court of Justice to issue an advisory opinion on Israeli violations of international law. The report will be discussed at the UN Human Rights Council session on 19 June 2017. 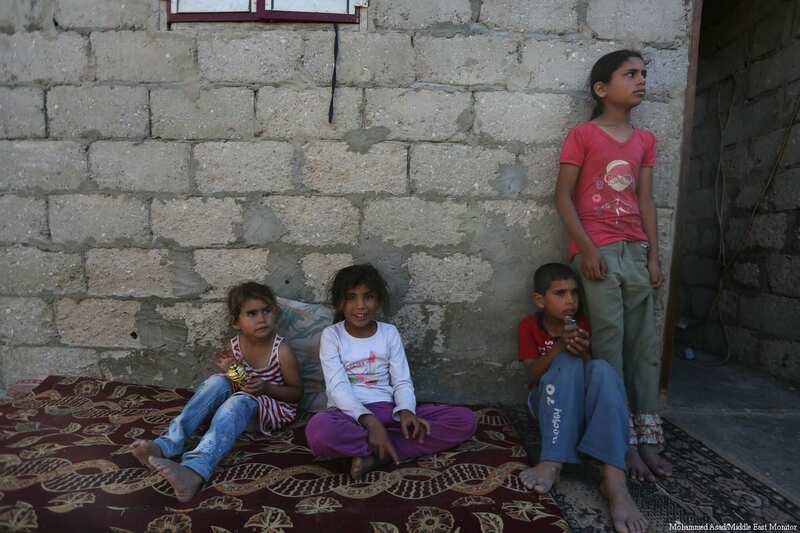 The report, drafted by the Economic and Social Commission for Western Asia on behalf of United Nations Secretary General Antonio Guterres, lambasts Israel not only for the “occupation of Palestinian territory,” but also the “occupied Syrian Golan”. The report also claims Israel employs “discriminatory policies and practices, use of force that has been deemed excessive, and restrictions on the freedom of movement, including the closure on Gaza, settlement expansion, destruction of property and the exploitation of natural resources in the Occupied Palestinian Territory and the occupied Syrian Golan,” reported Arutz Sheva. Haley used the announcement of the publication of the new report to repeat threats made earlier by the US against the UN. “It’s actions like these that are forcing us to evaluate the United States’ future on the Human Rights Council,” she said of the report, which was issued by the UN human rights commissioner Zeid Ra’ad Al Hussein. Moge Allah de meest Verhevene onze bezittingen zegenen. 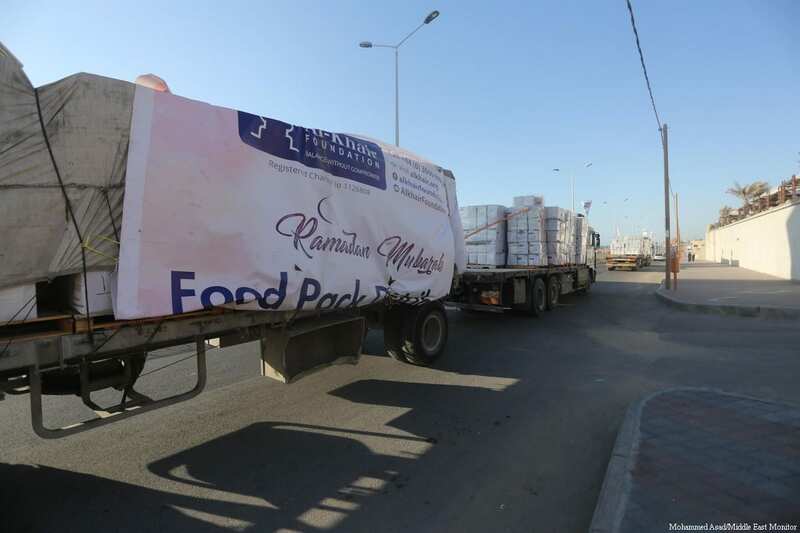 Palestinians living in the besieged Gaza Strip are receiving 50 per cent less funding and aid than would normally be entering the Strip during Ramadan. 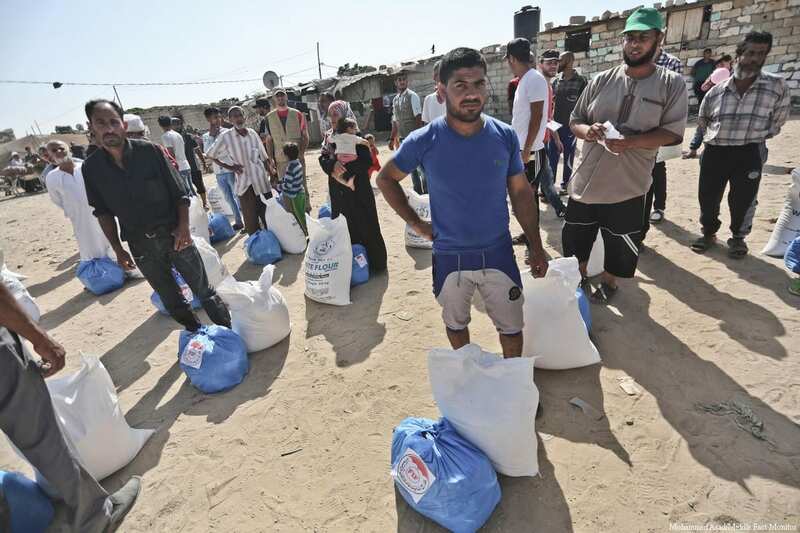 This has meant local charity organisations and those backed by foreign parties are no longer able to meet the minimum needs of the poor families in Gaza. Economic expert and Editor-in-chief of Al Eqtisadiah newspaper, Mohammed Abu Jayyab, told MEMO he believes sharp decline in the economic reality in Gaza due to a lack of cash, unemployment, continued blockade, and the salary cuts by the Palestinian Authority (PA) have all exacerbated the situation. 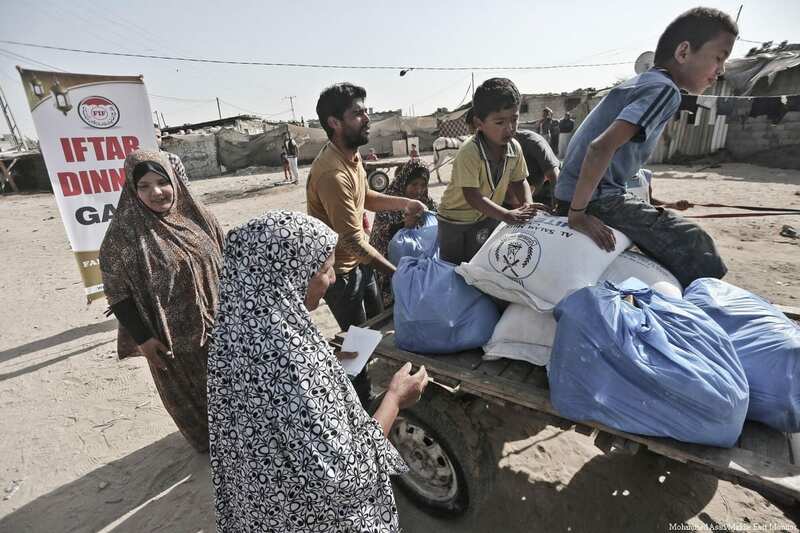 These factors have led to Palestinians being in need of aid and had a ripple effect on trade and markets. 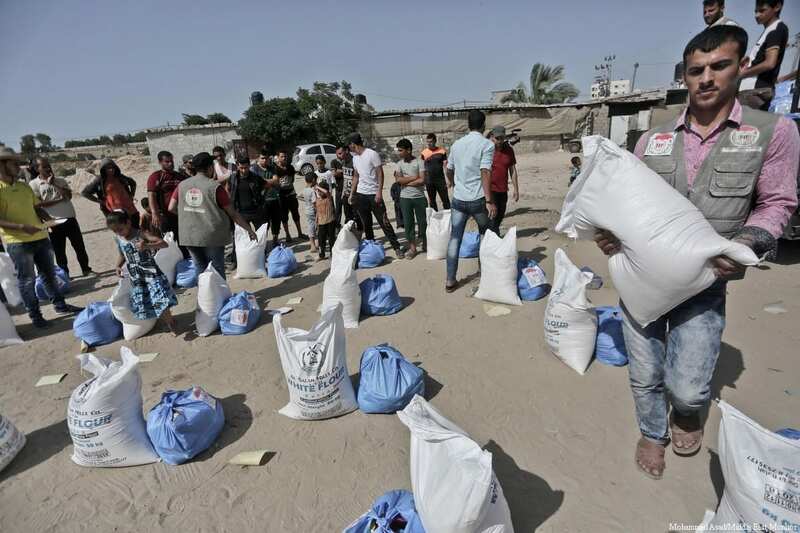 This has also led to a decreased ability on the part of the better off businessmen and traders to provide help to those in Gaza. 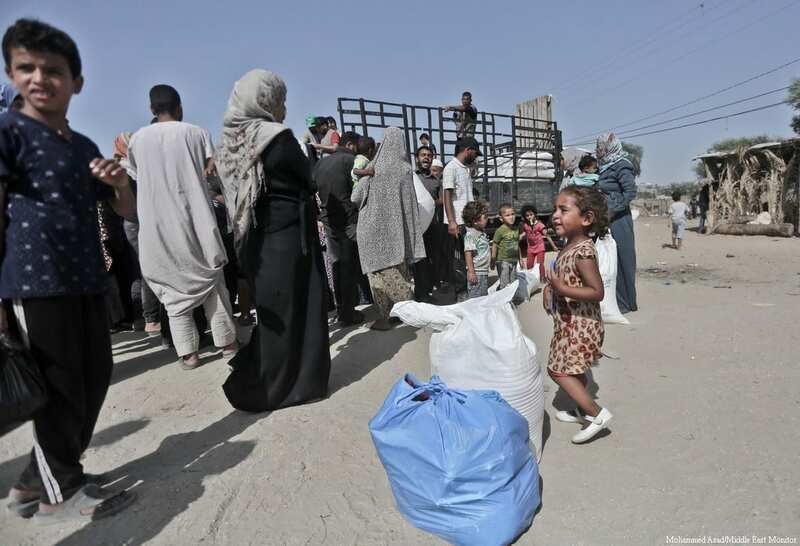 Many Arab and international organisations have stopped providing aid due to fears from measures taken against them by the PA, Abu Jayyab added. 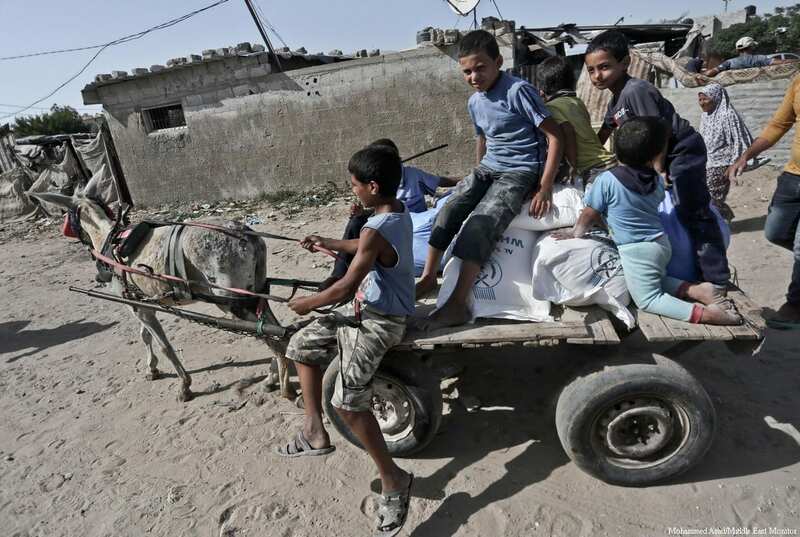 Various international organisations are being subject to pressure, crackdowns and financial complications if they want to operate in Gaza. This has deterred them from operating there, he explained. 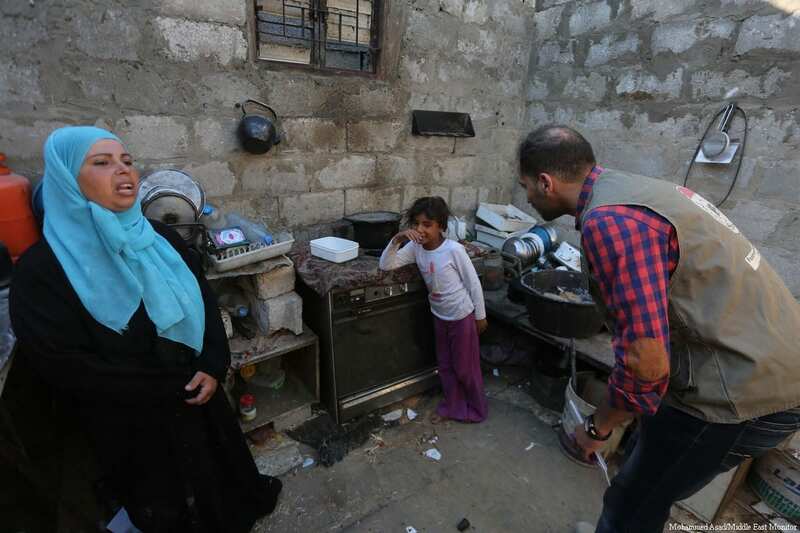 Israeli soldiers invaded, on Wednesday at dawn, Jaba’ town and Msalya village, south of the northern West Bank city of Jenin, searched homes and abducted two Palestinians. The army also abducted one Palestinian in Qalqilia. 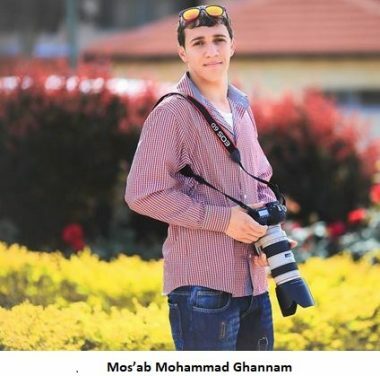 The Jenin office of the Palestinian Prisoners’ Society (PPS) said the soldiers abducted Mos’ab Mohammad Ghannam, 18, from his family’s home in Jaba’ town, after breaking into it and violently searching it. The invasion led to clashes between the soldiers, who fired gas bombs and concussion grenades, and local youths, who hurled stones and empty bottles on the military jeeps. Furthermore, the soldiers invaded Msalya village, fired gas bombs and concussion grenades, before searching a few homes, and abducted Qassem Mohammad Abu an-Na’im, 18. In addition, the soldiers invaded Qalqilia city, in the northern part of the West Bank, and abducted a young man, identified as Adam Daoud. Also at dawn, the soldiers invaded the Deheishe refugee camp, south of Bethlehem in the occupied West Bank, shot four Palestinians and abducted two others, in addition to abducting one Palestinian in Husan town, west of Bethlehem. BETHLEHEM (Ma’an) — According to a statement released by the Hamas movement, Palestinian Authority (PA) forces arrested four Palestinians on Wednesday, including two university students, a lawyer, and a teacher, in a continuation of what the group has claimed is a wave of arrests targeting Palestinians over their political opinions. In the central occupied West Bank district of Ramallah, PA intelligence services arrested Muhammad al-Khatib, a student at Birzeit University, after raiding his apartment. According to Hamas, al-Khatib is the son of Fathi al-Khatib, a leader of the Izz al-Din al-Qassam Brigades — the armed wing of Hamas — who is currently serving 29 life sentences in Israeli prison. The statement noted that PA intelligence services also arrested a former prisoner of Israel and Palestinian lawyer Mreisheh Shreitah from the al-Mazraa al-Gharbiyeh village in Ramallah. In the northern West Bank, PA security services arrested a student at the al-Najah University in Nablus, whom Hamas identified as Ahmad Darwish, who had previously been detained by the PA owing to his political background. The PA also arrested a teacher, Muhammad Mualla, from the Beita village in the Nablus district, who teaches at the Palestine Technical University – Kadoorie in the city of Tulkarem. The statement added that the PA has continued to hold three students from the Palestine Technical University – Kadoorie, identified by Hamas as Yahiya Sway, Izz al-Din Freihat, and Mahmoud Abu Hamra. PA intelligence services in Jericho have refused to release Rawhi Abu Shamsiyeh, a student at Hebron University who has been held by the PA for 40 days, despite a release order being issued by a PA court on Tuesday and his family already paying the required bail for his release, according to the statement. In addition, the PA summoned Sheikh Mutasem al-Gadaam, the Imam of al-Sadeq al-Amin Mosque in the village of Yatta in Hebron, for interrogations, Hamas said. The statement highlighted that dozens of other political prisoners have remained in PA prisons. Meanwhile, the Palestinian Prisoner Solidarity Network Samidoun reported on Tuesday that rallies were being planned in Ramallah city to demand the release of Nasser Jaradat. However, Palestinian prisoners’ solidarity network Samidoun said that Jaradat’s arrest was part of an ongoing trend of the PA “arresting Palestinians for voicing their political opinions on Facebook,” as part of Israel’s widely condemned policy of security coordination with Israel that critics have described as a “revolving door” that funnels activists from PA jails to Israeli prisons. 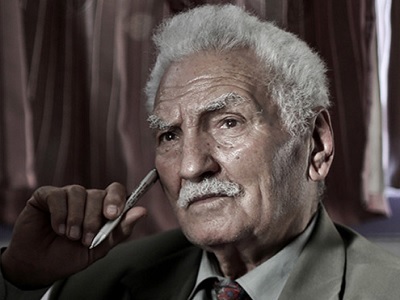 “The Authority should be holding accountable and arresting those who disregard and undermine the fundamental rights of the Palestinian people, not those who criticize the policy of security coordination and the Palestinian Authority’s political direction and leadership,” the PFLP added. Samidoun, meanwhile, also noted the continued imprisonment of activists of Seif al-Idrissi and Kifah Quzmar by the PA, who the group said have previously been detained for social media posts. The Union of Palestinian Communities and Organizations in Europe also sent a letter on Tuesday to European parliamentarians urging for Jaradat’s release and condemning the “repressive policies” of the PA.
“At a time when the Israeli occupation launches daily arrest campaigns against Palestinian cadres and Palestinians resisting the occupation, the Palestinian Authority Preventive Security Service arrested youth activist Nassar Jaradat in Ramallah, confiscating his right to freedom of expression,” President of the Union Fawzi Ismail said in the letter. Hundreds of Palestinians have been detained for social media activity in recent months. Israeli news daily Haaretz reported in April that Israeli forces detained at least 400 Palestinians in less than a year over social media activity, and that 400 others were detained for the same reason by the Palestinian Authority through its security coordination. The Hamas movement, being the Fatah-led Palestinian Authority’s political rival and one of the PA’s fiercest critics, is one of the few organizations to document arrest by the PA with any regularity — reports that Ma’an usually is not able to confirm independently. 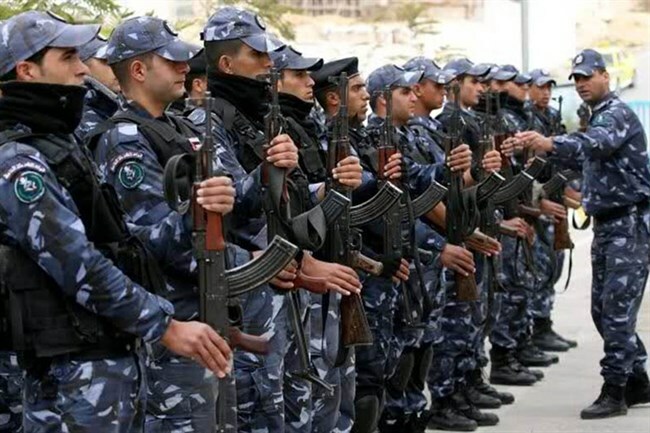 Hamas claimed in an earlier report that a total of 103 Palestinians were detained by the PA over the month of May, including 67 former prisoners of Israel, 83 former political detainees of PA, three journalists, 15 university students, one high school student, and four imams. 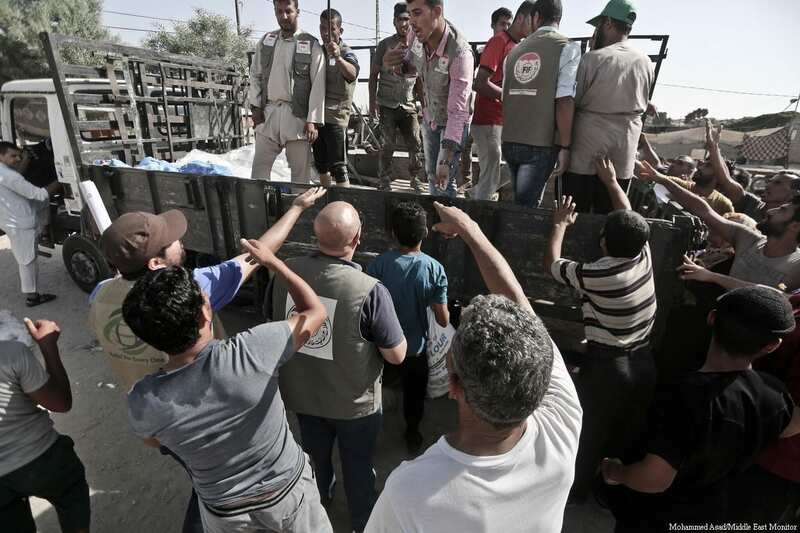 On Monday, Hamas released a similar report documenting four political arrests made by the PA. Meanwhile, Samidoun has also noted that the PA security forces have become involved in internal disputes within the Fatah movement itself, saying that the PA had targeted Palestinian Legislative Council member Alaa Yaghi, a Fatah member reportedly close to Muhammad Dahlan, Palestinian President Mahmoud Abbas’ political rival.